Despite the wide array of services offered to students with learning disabilities, attention-deficit disorder, and a variety of comorbid conditions, large numbers of students are caught in the struggle of surviving school. Unfortunate school experiences may impact their sense of self and the degree of tenacity with which they pursue further training or challenging opportunities in the workplace. These are the people for whom educational therapy provides relief, enlightenment, and the coveted prize of success. 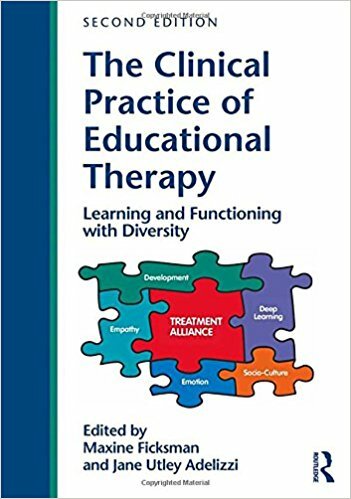 The second edition of The Clinical Practice of Educational Therapy, the first textbook in its field, provides a comprehensive perspective of this interdisciplinary profession and practice, reaching out to a more global audience. The book describes the scope and practice of educational therapy from its European roots to its growing presence in the United States, providing readers with case studies and research that illustrate the work of educational therapists across the lifespan in diverse settings. Interdisciplinary Perspective ? Other books focus on either educational or therapeutic interventions but rarely discuss the blend and synergy of disciplines (e.g., special education, neuropsychology, assessment, and social work) that are the hallmark of this unique profession. Illustrative Cases ? The text draws heavily on case studies as a means of understanding the practice of educational therapy, especially the dynamic relationship that exists between therapist and client. Numerous charts and tables provide visuals for educational therapists as well as allied professionals, parents, and those with learning challenges. Expertise ? The editors are both highly visible educational therapists. Chapter authors are either experienced educational therapists or allied professionals who have made scholarly contributions to the profession, such as Trisha Waters, Roslyn Arnold, and George McCloskey. In addition to benefiting educational therapists and students, this book is appropriate for professionals who work in related fields such as special education, regular education, school and educational psychology, neuropsychology, school counseling, psychology, speech and language pathology, art therapy, occupational therapy, and social work, as well as in medicine and psychiatry. Chapter 17, "Examining the Efficacy of Graduate Programs in Educational Therapy at California State University, Northridge (CSUN): Educational Therapy Intern, Graduate and Parent Perspectives" by Marcy Dann, Nancy Burstein, Tamarah Ashton, and Sue Sears. These additional chapters, supported by brain-based research, characterize the shifts and changes experienced in a range of settings. Through the treatment alliance, educational therapists address students' and clients' ability to experience a more comprehensive model of learning, dependent upon the psychological, social, emotional, cultural and academic environments. The three new chapters range in focus from formal research and graduate training in the field of educational therapy to students throughout the lifespan whose social and educational experiences require a careful eye to not only the academic task at hand but also to the ways in which they cope and adapt to a range of environments and challenges. Lastly, educational therapy's empathic foundation in practice is exemplified when we consider the global experience of students who strive to learn in situations and settings that threaten their survival and disenfranchisement from society. "Based in scientific evidence and pointed case material, and written to enhance the cognitive, social, and emotional needs of the wide variety of individuals with learning challenges, this second edition of a classic hits all the marks. Highly recommended for those interested in research, practice, and professional development related to educational therapy. A tour de force, this book embraces a multi-level approach spanning biology to culture and a developmental approach for professionals and clients. 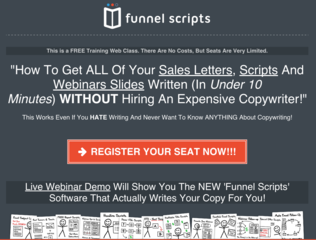 It is both sophisticated and readable." "I highly recommend the second edition of The Clinical Practice of Educational Therapy for professionals pursuing a career in educational therapy, as well as graduate students in the fields of education, psychology, counseling, social work, and art therapy, to name a few. The new edition is greatly informed by the latest advances in brain research, and, most importantly, this resource offers direct implications that such investigations have on the development of state-of-the-art interventions and programs." Maxine Ficksman, MA, BCET, FAET, a board certified educational therapist and published author, has worked in regular and special education for the past 45 years, specializing in guiding students with learning difficulties and their families through the educational process. For the past 25 years, she has developed, coordinated, and taught graduate-level educational therapy training programs. Jane Utley Adelizzi, PhD, BCET, ATR, is a board certified educational therapist, registered art therapist, and published author whose work addresses the impact of psychological trauma on learning and functioning in individuals who experience difficulty in a range of educational settings. She has worked in higher education for over 30 years as an instructor, administrator, and disabilities specialist.